Warren Buffett - Hagstrom is a quality investing strategy inspired by modelling of Warren Buffett's investment approach in books by investment strategist Robert Hagstrom, including The Warren Buffett Way. 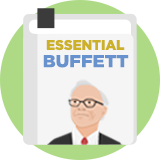 It is a strategy that combines Buffett's focus on value and business quality. It uses price-to-free cash flow as a valuation measure and assesses quality using operating profit and return on equity. In his book, Robert Hagstrom explains: "Your goal as an investor should be simply to purchase, at a rational price, a part interest in an easily understood business whose earnings are virtually certain to be materially higher, five, ten, and twenty years from now." Remember, Buffett is famous for looking beyond financial measures when examining the quality of a business franchise. We have no Product Description at this time.